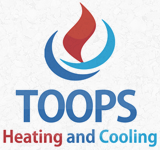 Since we first opened our doors, Toops Heating And Cooling, has built a reputation on outstanding customer service and seamless results for all HVAC repairs we provide you. Owner, Mike Toops, works closely with both the company and you, to ensure business runs smoothly and your issues are addressed. Operating the locally in Columbus, Ohio, we see the value in personalizing your experience. This is why we employ only professionals who demonstrate honesty and integrity through every assignment. We are pleased to welcome you as your client and are determined to work hard in fixing any issue with your HVAC system. With your system, we provide a variety of services, such as installation, maintenance, repair, and replacement.